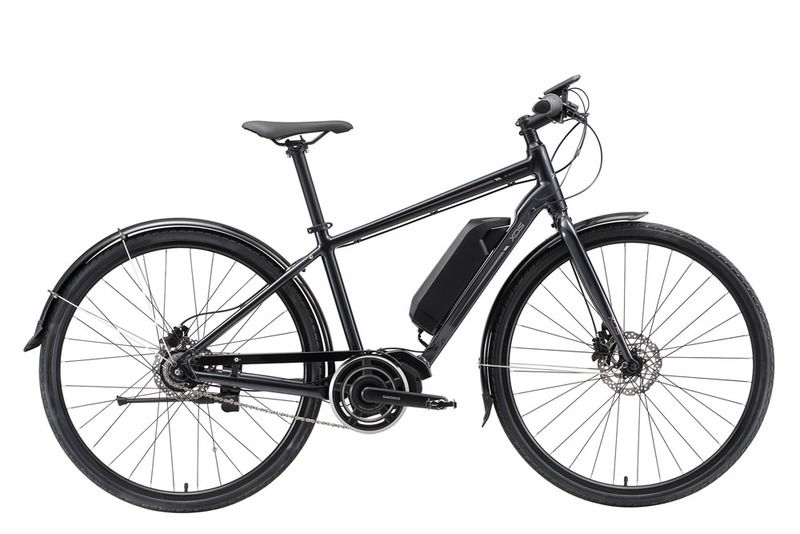 The E-EXPRESSO from XDS is their premium flat bar road electric bike. It’s available in black in two sizes; medium (53cm) and large (56cm). Their top end model uses the SHIMANO eSteps motor and battery mid-drive system and has incorporated a hub gear. The brakes are very strong hydraulic discs with centre locking rotors that are designed to pull you up quickly. It’s a pretty sweet bike to ride and is very much designed as a commuting machine. Well worth a test ride.